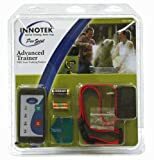 An overview of using a shock collar for training and control over your dog. Have you been considering getting a dog shock collar? If you need immediate control over your dog, then this is a good decision. A shock collar can be put to very humane and good use for high strung dogs and hunting dogs. It’s important that you have your dog in control at all times. If you have a hunting dog, it’s a device to keep your dog safe. You don’t want your dog to take on a wild animal or run in the path of a hunter’s fire. You will want to keep your dog under control at all times. When you first get shock collars for dogs, you need to spend some time training your dog off the collar. That means that you need to teach your dog a series of commands and make sure that the dog understands those commands. You might want to try some positive reinforcement using some treats. Once your dog has a firm grasp on your commands, then you can introduce the collar. You want to give a command, give your dog the chance to respond. 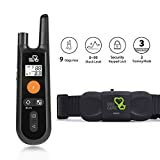 If your dog fails to follow your command, then you can give them a warning beep with the dog shock collar. Following the beep, you can introduce a shock. Before you use a shock collar on your dog, you want to try shocking yourself with it. It’s important that you make sure that you understand how much of a jolt you are giving to your dog every time that you use. Most dog shock collars don’t actually hurt; they just get your attention. This is especially helpful for controlling your dog, when they are heavily distracted. When you fit your collar on your dog, you want to make sure that you have a really snug fit on the neck of your dog. It’s important that the prongs have good contact with the skin of your dog. This can be somewhat difficult for dogs that have thicker coats. However, if you don’t make contact, you won’t be able to use the dog shock collar to get your dog’s attention. There are a lot of shock collars for dogs available. Usually, the price difference in shock collars is due to the amount of range that the collar has. For most home users, you are going to want around 50 yards. However, anyone who goes hiking or hunting is going to want at least a 100 yard range. If you have the money, then you should buy a 100 yard range dog shock collar right off the bat. 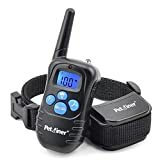 You can also buy a lot of collars that are water proof so that your dog can retrieve ducks or swim in unfamiliar waters and still be under your control. If you have more than one dog, you can get shock collars for dogs that are capable of using 2 separate collars from one controller. 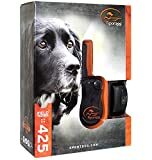 This makes it very easy to hunt or hiking with several dogs at one time. Your outdoor experience will be greatly approved by using a dog shock collar. There are those that feel that using a dog shock collar is inhumane. However, it’s important to realize that if used correctly, the shock collar is actually meant to protect the dog from dangerous elements. That's why a lot of people use a wireless dog fence in their yard. It’s far better to have your dog on a shock collar than have it run away or having your dog attack or chase another animal.